Here’s a genius idea: oatmeal + Greek yogurt in the same container. Plenti has done it, and it’s made me rethink my breakfast routine. I love yogurt for breakfast, but I’m always a little stumped with what to do with it. Oatmeal, too. Very good for you, very unexciting all by itself. Together you have a healthy and hearty breakfast that’s both satisfying and crazy convenient. You get to fill up on 11 grams of protein and 16 grams of whole grains without any artificial flavors and sweeteners. At just 170-180 calories you can pair it with fruit for the complete, hearty breakfast. Hurrah! This is a great mask for those with oily or acne-prone skin. 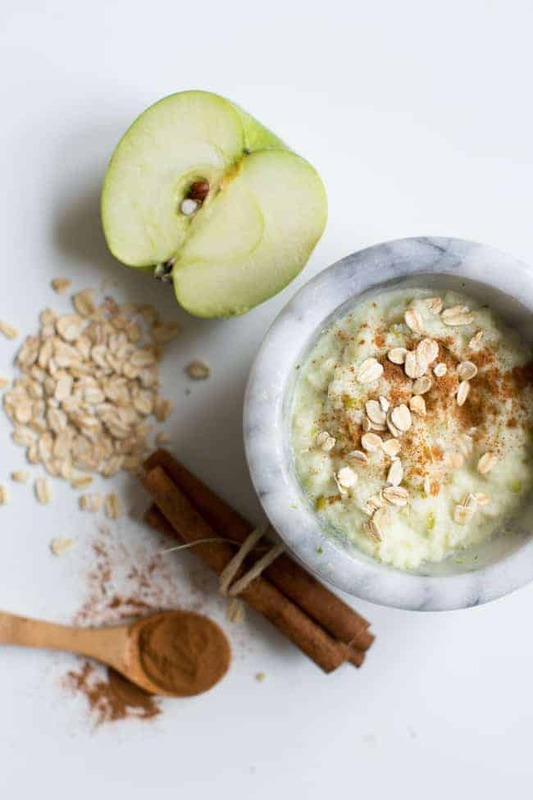 The natural acids in the apples and yogurt naturally exfoliate skin while the oatmeal soothes inflammation. And cinnamon is an antioxidant as well as antibacterial and anti-fungal. Puree the green apple and yogurt together until smooth. Add the oatmeal and give the mixture a couple of pulses. You want to break down the oatmeal but not puree it. Transfer to clean bowl and stir in the cinnamon. Apple mask to face with clean hands or a facial brush. Avoid eye area. Let sit for 15 minutes and remove with warm water. Pat dry and follow with moisturizer. What’s your favorite oatmeal flavor? Peach? Blueberry? Chances are it would make an awesome face mask too! The next time you reach for your breakfast yogurt consider its versatility. One lucky reader will win a week’s supply of Plenti Oatmeal Meets Greek Yogurt coupons. 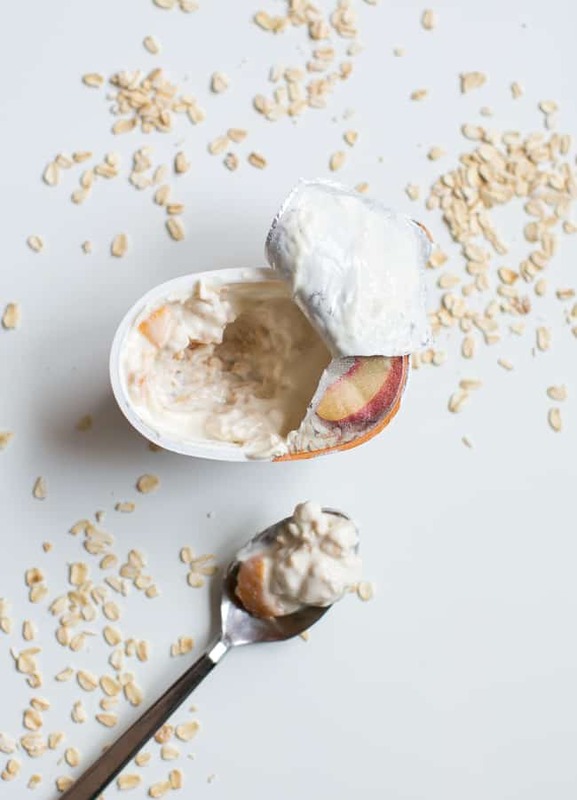 Plenty is available in six delicious flavors including apple cinnamon, maple brown sugar, peach, blueberry, strawberry and vanilla and you can find it in the yogurt aisle. To enter, leave a comment with your favorite oatmeal flavor. Giveaway ends 11:59 PM March 11. Must be 18 years or older and a US resident. Visit online to download your own Plenti coupon! 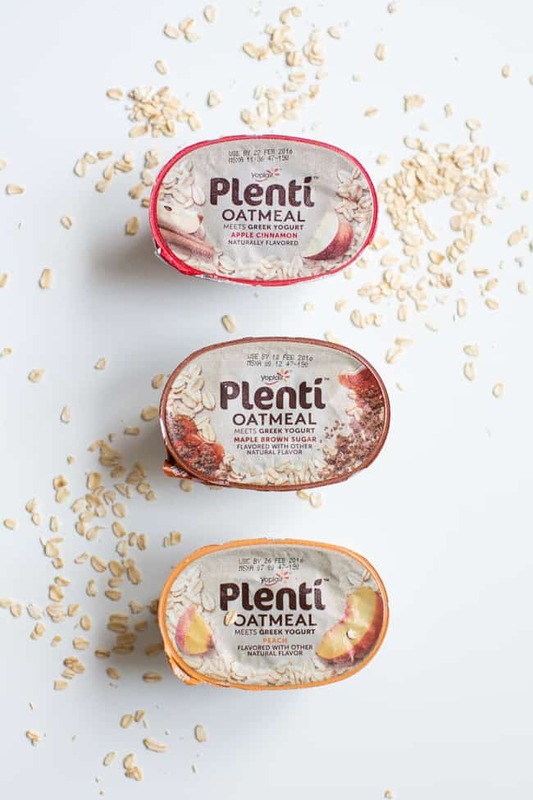 Find Plenti Oatmeal in the yogurt aisle, and follow the latest Plenti news on Plenti Instagram, Plenti Facebook or Plenti Twitter. Congrats to our winner, Nancy K! Nancy K. All sound delicious; my favorite would have to be PEACH! I love Maple and Brown Sugar! I eat it almost everyday…oatmeal is so good for you and helps you get your day started!! Amazing contest…crossing all of my fingers and toes!! I love oatmeal and greek yogurt! I never would have thought of combining the two. I usually just add fruit to them. My favorite flavor is peach. Yum! I love apple cinnamon and I add cranberries and applesauce to it. It’s so good! I love oats. COCONUT – IT’S DA BOMB!! Maple and Brown Sugar is the best! My favorite oatmeal flavor is strawberry. My favorite flavor is apple cinnamon! They all sound yummy! My fav is peach! They all sound awesome. My favorites are maple brown sugar and coconut. YUM!! My favorite flavor is maple brown sugar, yummy! All sound delicious; my favorite would have to be PEACH! I love the maple brown sugar flavor! My favorite oatmeal flavors are brown sugar, peanut butter and coconut. By far my fav is black cherry. My favorite is the Maple Brown sugar and Peach.. yummo! My fave oatmeal flavor is peaches and cream. I’ve tried the apple cinnamon and it is very good. I’m looking forward to trying the other flavors. Cinnamon and Brown Sugar is my favorite! Apple Cinnamon Oatmeal is great. My favorite is apple cinnamon flavor, thanks for the chance to win some! I love Vanilla yogurt with fresh fruit, especially Blueberries. My favorite oatmeal flavor is peach. Peach is definitely my favorite! Maple brown sugar is delicious! I love peach oatmeal or yogurt!